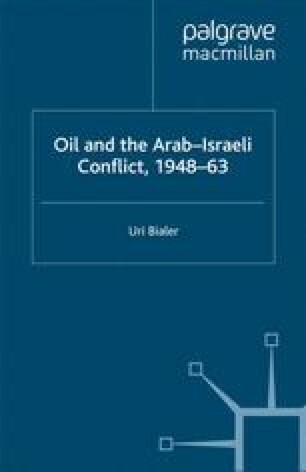 This book focuses on Israel’s attempts to ensure a regular oil supply in the first decade of its existence. Oil was as vital to Israel as were external sources of finance, immigration and arms — the three other needs which had to be met and on which Israel was sorely dependent in its formative stages. But while there is an extensive literature, partial though it may be in scope, on the country’s attempts to secure these last three needs and on the implications of those attempts, the subject of the present research has not been given similar treatment. Anyone interested in the question had to settle for the few pages devoted to it in Benjamin Shwadran’s book, Middle East Oil: Blessing and Threat, published nearly 20 years ago. The prime reason for this historiographical lacuna was the secretive attitude adopted for decades by Israel’s leaders towards the issue of oil supplies, which was no less stringent than that applied to matters of conventional national security. This virtually precluded any contemporary journalistic treatment of the issue. These restrictions have been relaxed in recent years, and primary material of supreme importance has been made available in both Israeli and foreign archives. This development has opened up a central area of hitherto unknown activity, and thus exposed an important dimension in regional and international economic diplomacy.